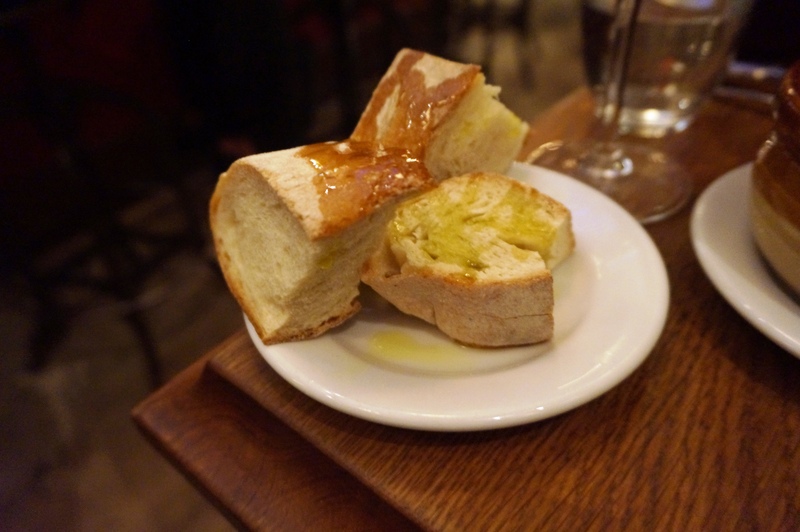 I knew I was arriving late into NYC so I did my research beforehand to find somewhere low-key for dinner with a friend; I stumbled onto Buvette and was sold. My flight was delayed (as usual) and I arrived at Buvette around 11:30pm to a packed restaurant. 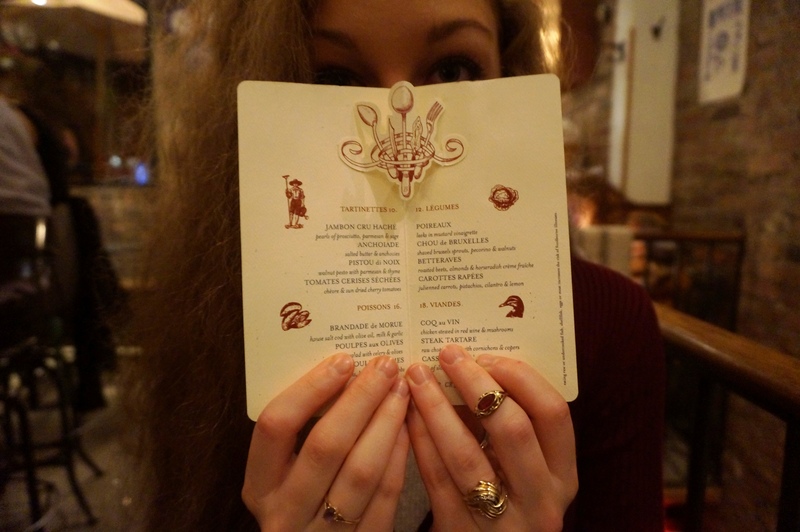 The atmosphere was amazing, it was like I had stepped into a teleporter and had found myself in France; the restaurant was small but had marvelous character and this homely feeling. The whole menu was appetizing but I kept it homely and traditional in keeping with the ambiance. We ordered the steak tartare and the duck cassoulet. The steak tartare was very simple, no egg yolk, not fancy additions, just steak with a few condiments with a fantastic bread. So simple yet so incredible, the beef cut finely and the ingredients all so precisely added to balance the dish. 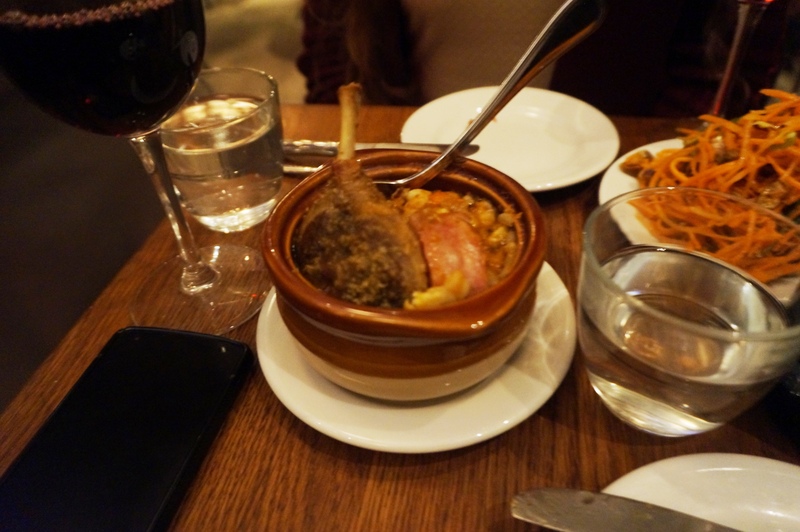 The cassoulet’s was a trip to France in a dish; the beans, cumin, spices, sausage and duck confit all harmoniously melded as I ate it, I mopped up the gravy with crusty bread and had felt like I had truly left NYC and was seated in Paris eating at a local restaurant. To finish the meal I ordered their blue cheese; a creamy blue served with the same bread as the tartare with stewed blueberries; a classic and scrumptious way to finish the meal. 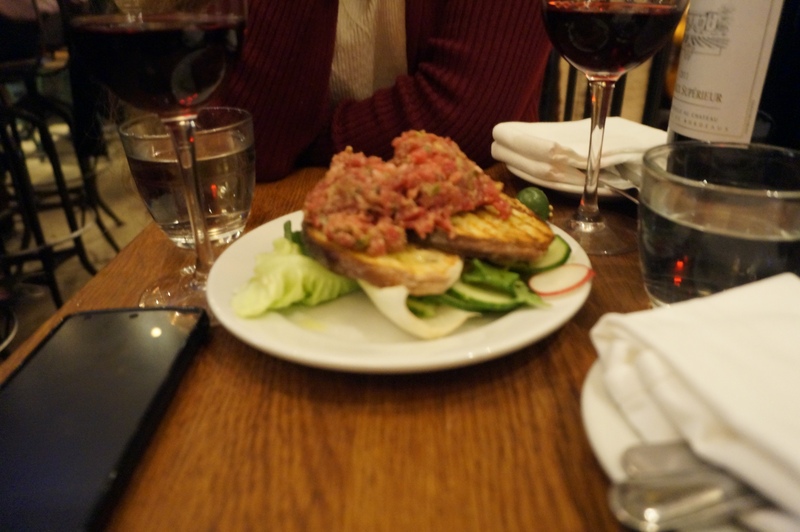 Posted on October 24, 2015 October 24, 2015 by AdrielPosted in New York, SteakLESS, United StatesTagged Cheese, Duck, New York City, steak tartare.